"Lord, How good it is for us to be here!" A few words placed side by side above the entrance door to our beloved church and heard as a common thread by our parish family with a richness of history that many hold dear. Every parish has a history to share but “The Church of the Transfiguration” has a history that’s not likely heard very often but many times asked to be repeated for the love of the story. In 1983, our founding pastor, Fr. Jerry Appelby, held a diocesan position in campus ministry. During this time, the Diocese of Rochester was considering a new parish in the Southeast quadrant of Monroe County based on demographics. Fr. Jerry was approached to consider pastorship of this new church venture. He readily agreed and in May 1983, the parish and pastor were announced by the diocese. But, there was no place to worship, and a search throughout Pittsford did not result in any temporary lodging for the new church. Tom Kirchoff, a founding parishioner, found an old barn located at the corner of Stone and Clover in Pittsford. 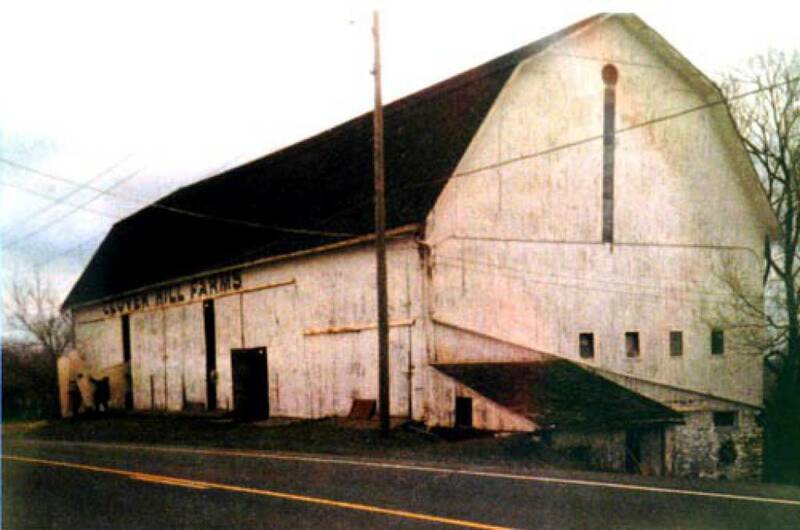 And so it was, our first church home was a barn. The first Mass was celebrated on August 6, 1983, the Feast of the Transfiguration and it was a joyous occasion for all present. Once the colder weather approached, we were able to negotiate temporary space from Jo-Mor movie theater in Eastview Mall, and Christ Clarion church. Christmas was quickly approaching and at this point, as Fr. Jerry notes, “there was no place to go” for Christmas Eve Mass. As cold as it was, thoughts of the barn came to mind and the decision was made. Picture it….. the temperature was 10 degrees, there were sheep in the barn, holes in the barn boards, parishioners in coats, hats and gloves, Fr. Jerry wearing his stoll over his winter coat and only removing his gloves to raise the chalice during consecration. The first Christmas Mass for this new parish lovingly named The Church of the Transfiguration. 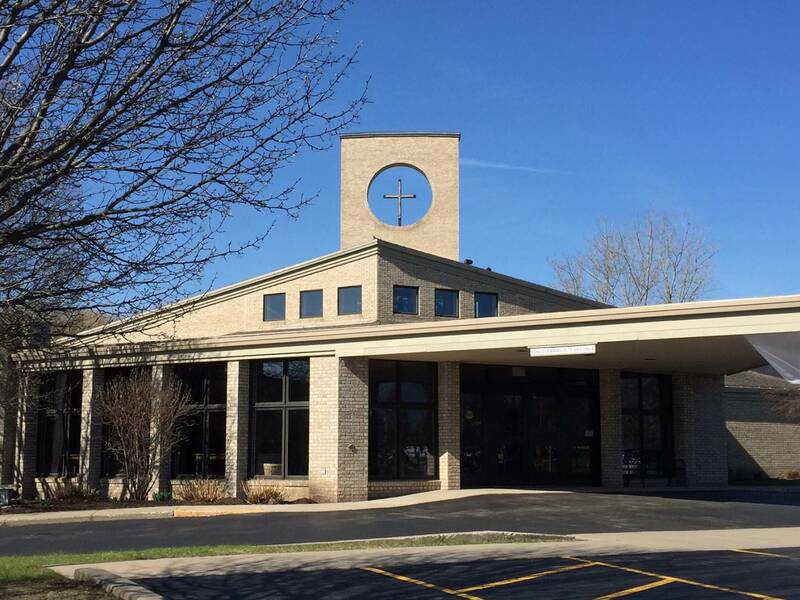 A permanent location for our church was obtained on West Bloomfield road, and the first The Church of the Transfiguration was erected (our current Education Center) with Christmas Mass 1984, celebrated in the lower level and Easter Mass in the spring of 1985. The church was dedicated on May 5, 1985. Parishioner growth continued and soon we began to outgrow our first roots and the decision was made to break ground for a new church. Parishioners had two requests in reference to the interior of the church…that it was “bright” and that the congregation would be “close to the presider”. This was accomplished with all the beautiful windows and the altar was only one small step away with the floor tilted on an 18’ gradual slope to move the congregation closer to the altar table which enables all to be no more than 45 ft from the presider. Ashes reside within the altar table of St. Lawrence in reverence to Rochester Diocese Bishop Larry Casey and Sr. Maria Goretti to represent the role of women in the church and the place of women on the altar. In December 19, 1992, Bishop Matthew Clark, Fr. Jerry, parishioners and well wishers joined together to dedicate our new church, the place we call “home” today. 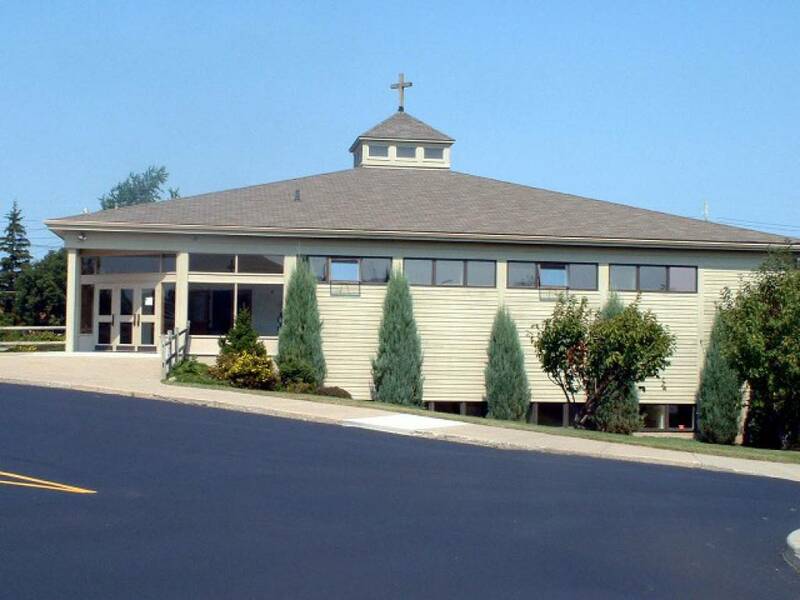 With continued growth in parishioners numbers and ministries, a decision was made in 1997 to begin plans for construction of our Parish Life Center which was dedicated in September 1999. Below is a wonderful history written by a parishioner. From the very first Mass in the barn, and later in a theatre and a neighboring Presbyterian church, we knew that this wandering community of believers was special. Everywhere you could see growing and could feel the friendliness, the unity of purpose, the mutual support, the hospitality. For many of us the meaning of church had been deeply associated with a building, with our children, with a code of rules and requirements, and with the hierarchy. But when you worship in a barn, sometimes hot, sometimes very cold, with birds overhead and traffic whizzing by a few feel outside the door, old ideas quickly fade. We look around our barn to find all we had was ourselves, our God and His unadorned sacramental life. And we were as beautiful as simple as we imagine He was in His manger. We discovered we are the church, the community of God’s people here and now. We felt and still feel we have been blessed with a sense of what the early apostolic church was like – a new community of faith, drawn together in hardship, beginning an exciting journey. When you join us you will find as we all have, that this church is more than you have experienced in the past. Ever since the barn we have been learning and growing day by day into what it means to be a Christian community. In us the Christian purpose is both fulfilled and promised. Fulfilled in the growing spirit of care we have for alone another which creates community, and promised in our discovery through that community that we are together only because of and or a person, Jesus Christ, who we seek to know, not only in his people, but in Himself. Yes, those who came early to this community had an opportunity to build and to make a home for us. That experience can’t be duplicated, you’ll hear a lot about it. But those days are gone now, and building will go on in other ways. You will be part of that new growth. And what lies ahead is even more exciting and full of promise than what went before. The journey has just begun. Few will want to remain anonymous in our community and those who come to our community will be challenged to do and to grow, because they – and you-will sense how you are loved and respected, and needed. Someone was once overhead at coffee after Mass to say, after joining our community,” We feel welcome here, like coming home.” Our church can be compared to home. Yet, “home” like “church” escapes definition. It is where you are expected but not taken for granted, and missed when you are away. There is always a place at table for you where you are not only allowed but encouraged to step forward to be served and to serve. People will know your name here. We are the Christian people of God, a unique Catholic community of believers called Transfiguration Church. We welcome you and invite you to join us in a journey of faith and trust.